I am not a mom who plays. Sometimes I feel incredibly guilty about that… Especially when you pair it with the fact that I work from home, often more than full time, so I don’t have a lot of free time. And just for giggles, let’s throw in the fact that we homeschool, two of the kids are disabled and need several therapies, and I’m autistic as well. Time to connect can get really complicated when you’re juggling so much in your mind. It’s difficult to put “life” aside to have intentional time just enjoying our kids, but it’s so important. 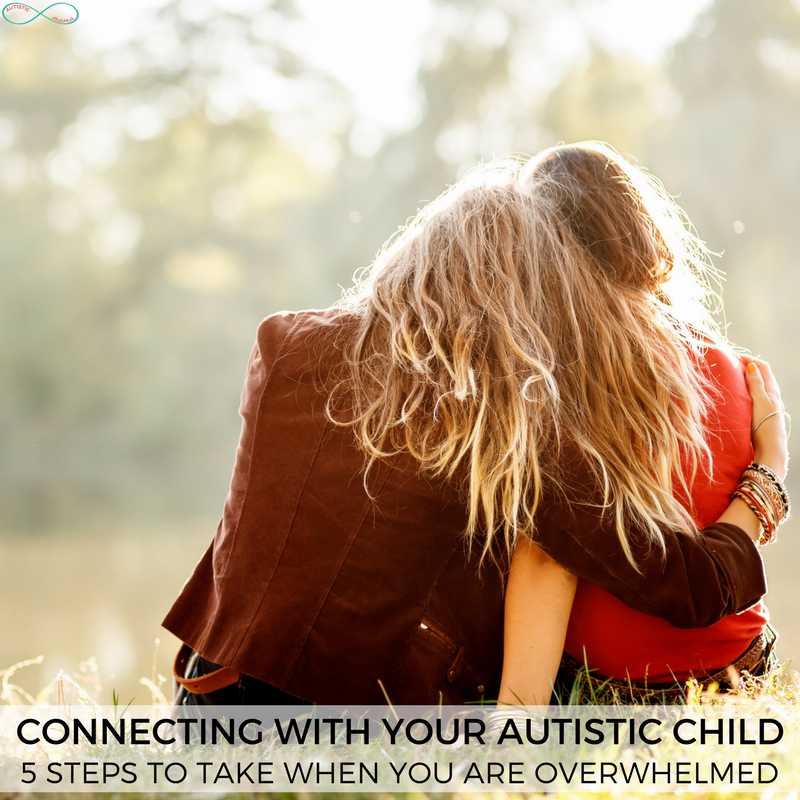 So today I’m sharing 5 ways to connect with your autistic child when you’re feeling overwhelmed. Before I jump into how to connect with autistic kids when you’re overwhelmed with everything else you have to do, I just want you to know… I’m not perfect at this by any stretch of the imagination. A-Man is a seeker, I’m an avoider. I’m incredibly busy with work, and I often have to be reminded just to eat breakfast. So in now way is this post a “shame on you” for not doing these things. A friend in the Embracing Autism group asked about this, and I realized I’m not the only one struggling, so I’ve decided to share my thoughts. 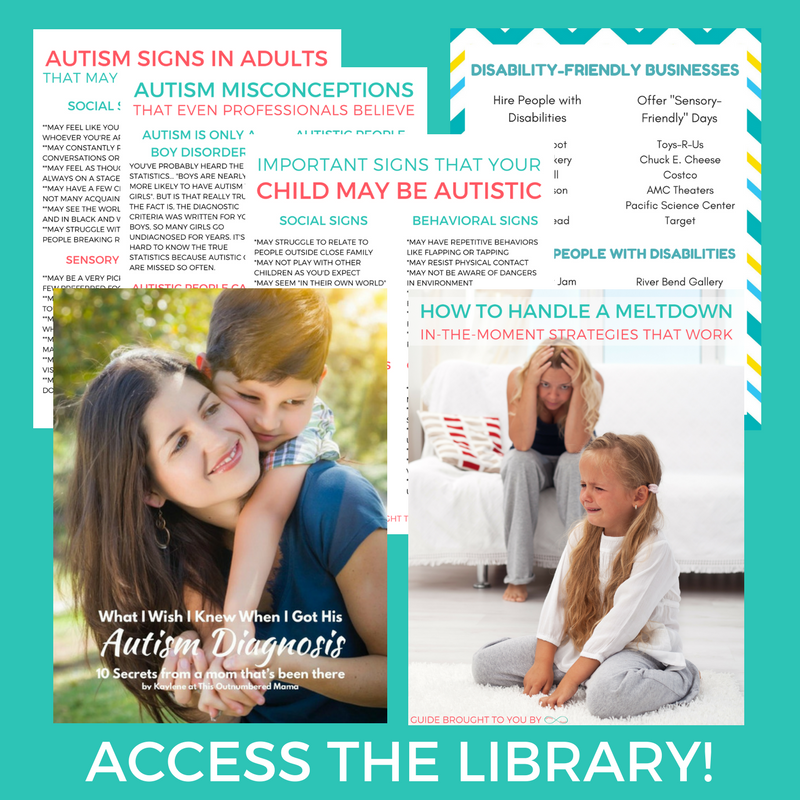 The simplest way to connect with your autistic child is by putting together sensory-friendly activities. I know it seems super overwhelming, especially when you’re already juggling medical appointments, therapies, and what in the world to make for dinner. 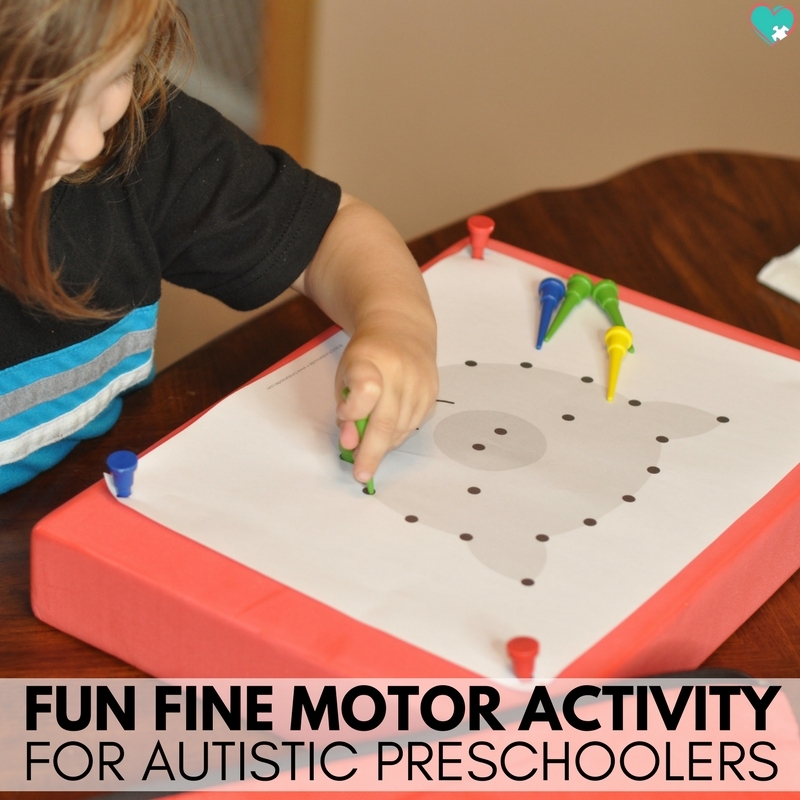 But I promise, sensory activities don’t have to be the pretty Pinterest-perfect projects that you see. You can put together a sensory project in minutes. I love making this 3-step ABC sensory bin, but you can also do things as simple as filling the kitchen sink with soap and water, stepping outside into the mud, or exploring the world around you. Then just play with your kids. Dig into the sand. Squish your toes in the mud. Splash the bubbles. You’ll be connecting and creating memories. I know, I know. Self-care is the first thing to go out the window when you’re feeling overwhelmed with life. It’s really difficult to find time to fit in self-care, especially as the parent of an autistic child. So I came up with tips made specifically for moms of autistic children to help you fit in self-care, even when you have no time. Sometimes I hear parents struggling to connect with their autistic children because they don’t have the same interests. Maybe your neurotypical child loved to read with you, or you and your nephew love to build intricate model racecars. 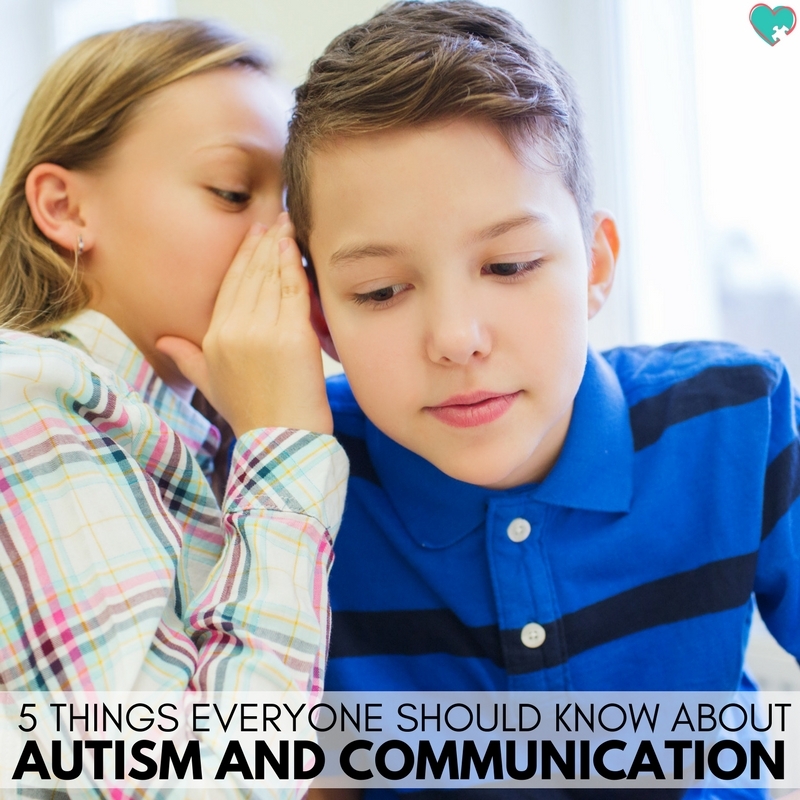 Your autistic child not preferring to do those same activities doesn’t mean you can’t connect with them! Take some time to join your child with their interests, exactly where they’re at. A-Man is obsessed with Beauty and the Beast, so connecting with him often looks like scripting scenes from that movie and acting out the dance routines. Mr. C is loving Pokemon Go, so connecting with him looks like listening (as enthusiastically as I can) to his explanation of the 247 different pokemon (pokeman? pokemen?) that he caught and when they’ll evolve. I’ve started doing this when I realized that I was working too much, but it is super helpful for all parents whether they work a traditional job or not. I had to set times that I’m not working and I’m “off” with the kids. Now here’s the key… You have to really be off. This can’t be time that you’re homeschooling. It can’t be time that you’re doing therapy activities. It can’t be time that you’re cleaning or scrolling your phone. Just to play with your kids, watch some tv (we’re watching Fuller House), and just connect. If you don’t think you have time, I understand. I challenge you to start with 15 minutes. The 15 minutes after breakfast, or the 15 minutes before bed, or any 15 minutes in between. Even 15 minutes is more time to focus on your kids and connect than you had before, and you can grow from there! This one is hard for me because I absolutely love to do stuff. Sometimes you need to know that it’s a season to take a break from commitments. Maybe you need to take a break from afterschool clubs or sports for a season. Maybe you need to take a break from a volunteer commitment. Maybe you need to take a break from therapies for a short time. It’s hard. I know it’s really hard. Right now we’re in a season with a break from therapy. We still do some therapy activities at home, but not often. With this break we’ve focused on academic activities in our homeschool instead of therapy integration. We’ve taken time to play together and get to know each other better. 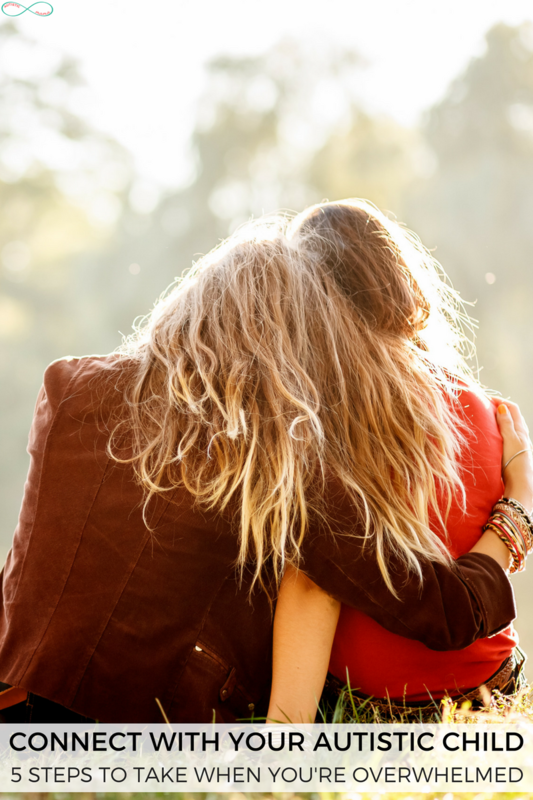 And we’ve been able to connect in new ways, even through our hectic and overwhelming lives. Love this post! Some days I feel so focused on the outbursts or frustrated teacher notes forget he is so amazing in so many other ways. Thanks for the tips… planning some much needed lego time tomorrow!